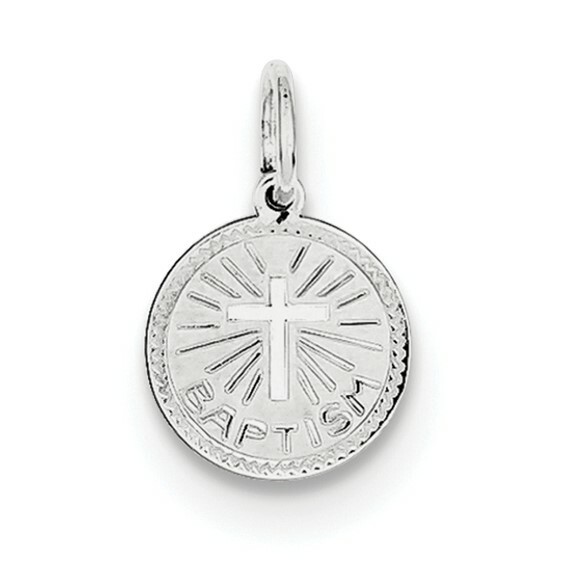 This tiny baptism disc charm is made of sterling silver. Measures 5/16 inch tall by 5/16 inch wide without bail. 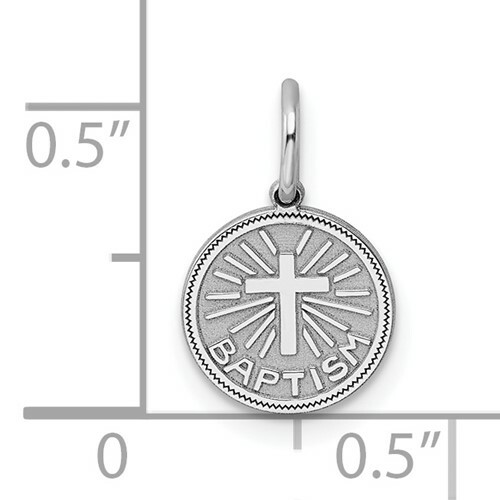 This item is quite small, half the size of a dime. Weight: 0.4 grams. Made in USA.